A Man for All Seasonings: Happy Birthday to us! Okay, I’m really late with this, but it suddenly dawned on me this morning that A Man For All Seasonings has been around for one year. However, I missed the anniversary by nearly a month! (typical for me) If you sift back through to the beginning of (AMFAS) time, you’ll notice our first post was February 22nd of last year. That’s me, I guess: often a day late and a dollar short. To all of you who have been loyally following my thoughts about “all things edible”, interspersed with my occasional rant about what’s being done to our food supply, my thanks. To all who have left cogent comments, even greater thanks. I really appreciate you taking the time. 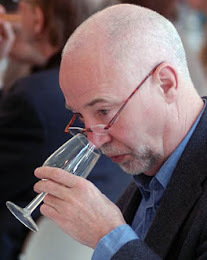 We now also have a resident wine (and other beverages) expert, Frank Baldock. Frank really is a true expert on the subject and is everything an expert should be. He has vast experience, is an superlative and engaging writer, someone who’s probably forgotten more on the subject than I’ll ever know. (He’s also a marvelous dinner guest.) If you haven’t already signed up for his excellent wine newsletter, Wine Express, do yourself a favor and take out a subscription. It’s definitely worth the small cost. Just click HERE and you’ll be at his website’s contact page. As a matter of fact, as long as you’re there, take a look around website. I’ve seen plenty of wine suggestion newsletters and websites over the years, and Frank’s is the real deal. Wine Express is our go-to source when we want a special bottle for a special meal and he’s never let us down with his suggestions. His feature articles are also incredibly informative – and entertaining. Frank is one of those oenophiles who doesn’t take his subject too seriously. We’re very fortunate to have him here as our resident wine expert. Have you thought of becoming a “friend” of this blog? We have eight so far, but it would be great to have more. The place to sign up is at the top of the right-hand column, and you’re literally a click or two away from being “an insider”. Please consider it. We love feedback! If you have any thoughts on what is presented here, please don’t hesitate to leave a comment. If you have anything you’d like us to feature or discussion topic, please send me an email by clicking HERE. I’d love for this blog to become more of a community. For that matter, if you’d like to step on the AMFAS soapbox, just drop me a line, and I’ll set it all up for you to post. There are plans to bring you a lot more features over the coming year, including some of our own in-house produced videos. In fact, some of them are already in the works. Please stay tuned!